In terms of geostrategic consequences, the war produced profound consequences. At the time of this project’s completion in 2018, an emboldened and expansionist Iran appears to be the only victor. Iraq, the traditional regional counterbalance for Iran, is at best emasculated, and at worst has key elements of its government acting as proxies for Iranian interests. With Iraq no longer a threat, Iran’s destabilizing influence has quickly spread to Yemen, Bahrain, and Syria, as well as other locations. The study, released Thursday, highlighted a plethora of failures during the eight-year conflict (2003 to 2011), including the lack of awareness among the military of the sectarian, social, and political dynamic gripping Iraq at the time that would eventually give birth to the Islamic State (ISIS/ISIL). Moreover, the U.S. never developed an effective strategy to deal with Iran and Syria as they gave sanctuary and support to both Shiite and Sunni terrorists, the report concluded. 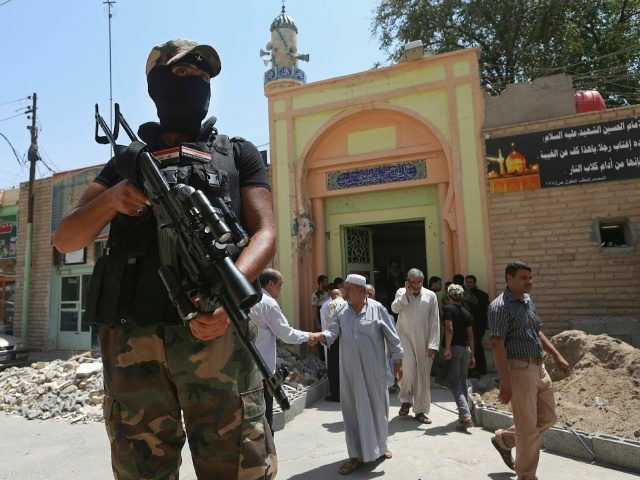 Both Iran and Syria harbored and provided support to the Sunni and Shiite terrorists, effectively contributing to the killing and maiming of tens of thousands of Iraqis and hundreds, perhaps even thousands, of U.S.-led coalition troops. Although the United States should always be wary of expanding a conflict to other nations, U.S. leaders should consider the option of escalation — including with military power — when neighboring states become de facto combatants. In Iraq, the U.S. inability to find an effective response to Syrian and Iranian proxies made accomplishing our political and military objectives almost impossible. The U.S.-led coalition had political value but was “largely unsuccessful” because the allies failed to deploy enough troops and limited the scope of their activities, the Army determined. One Iranian proxy alone carried out 6,000 attacks on U.S. troops between 2006 and 2011, the Institute for the Study of War found. The Iranian regime produced sophisticated and lethal technology for their Iraqi proxies to use against U.S. troops, and U.S. forces had difficulty keeping up with the evolution of Iranian weapons such as explosively formed penetrators and improvised rocket-assisted munitions (IRAMs). These weapons killed and wounded scores of U.S. troops, but the United States responded to them only at the tactical and operational levels, not the strategic. Iran also supplied its Shiite proxies still wreaking havoc to this day with explosively formed penetrators (EFPs), a form of improvised explosive device (IED) or roadside bomb, which caused mounting American casualties. Other failures the study highlights include a lack of troops, which prevented commanders from defeating the insurgency and Iran-backed Shiite militias; not enough training for the U.S. National Guard, which made it difficult to fight jihadis; the failure to develop an effective Iraqi force independent from U.S. support; an ineffective detainee policy that failed to treat captured insurgents or militiamen as prisoners of war, which allowed them to return to the battlefield; and relying on democracy to bring stability. In November 2018, the Pentagon’s inspector general deemed Iranian-backed militias, including some who fought against American troops during the 2003 Iraq war, a menace for the 5,000 U.S. troops who remained in Iraq. Despite the threat, it appeared the Pentagon still did not develop a strategy for fighting the Iran-allied Shiite militias in Iraq. American troops had invaded Iraq in response to the 9/11 attacks on the United States.